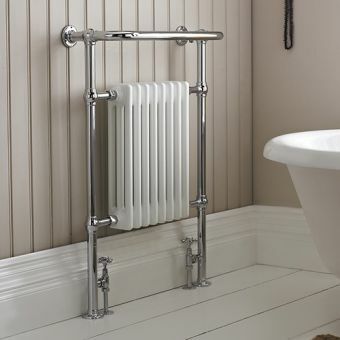 In terms of visual style and function, Victoria is similar to its sister piece in the Phoenix range, Ella, but is smaller and more petite in stature. 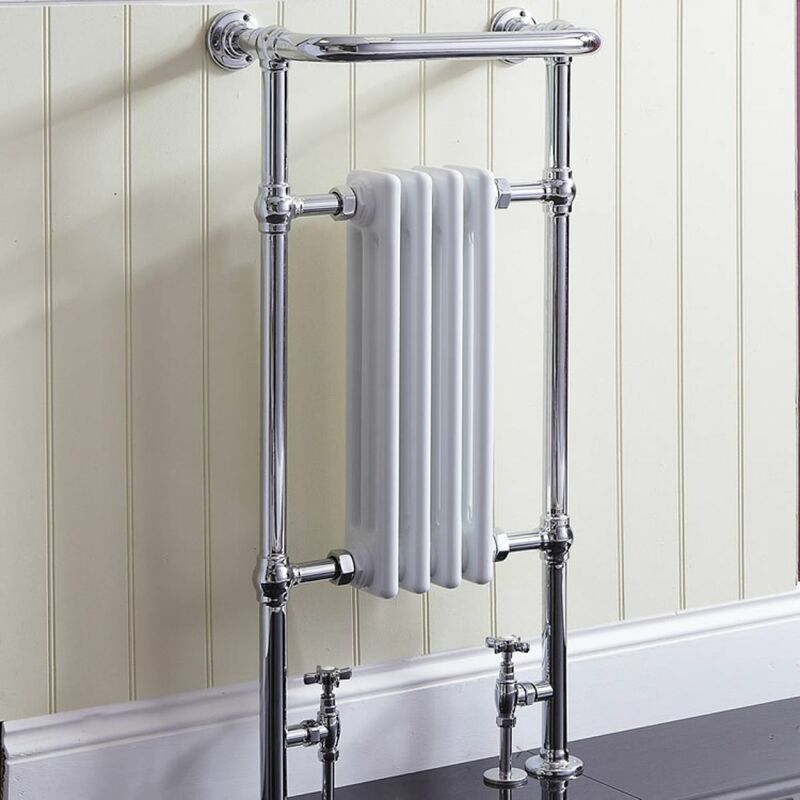 Featuring a centrally located heat output, this small but attractive radiator unit is capable of emitting 487 Watts, packing an efficient and warming effect. 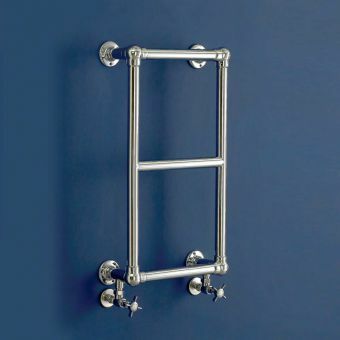 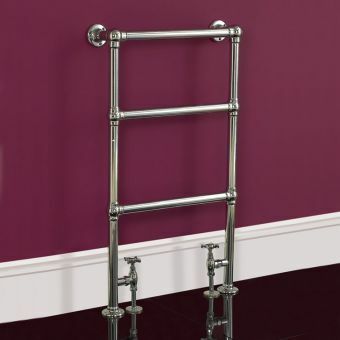 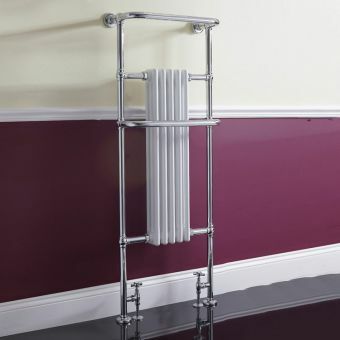 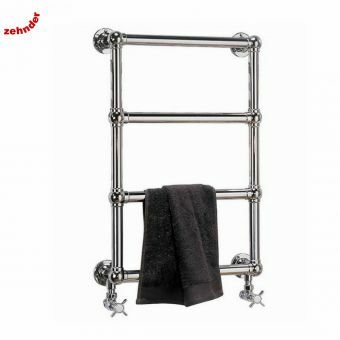 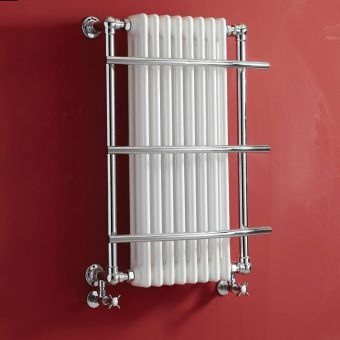 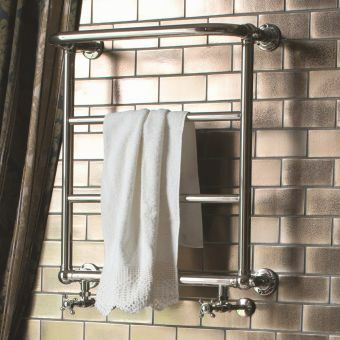 Its towel rail is allows for quick and easy drying or warming of towels, giving you an enjoyable end to your bathing or shower time. 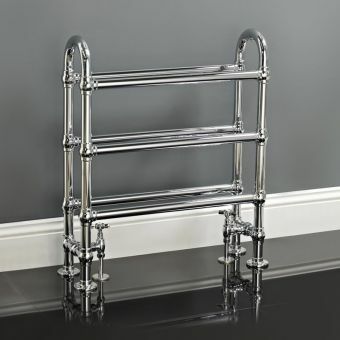 Their cruciform handles and finer design fit in with the hints of vintage that are incorporated into the whole piece.
. 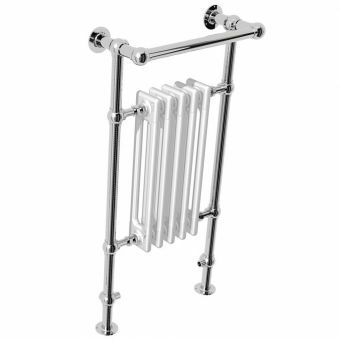 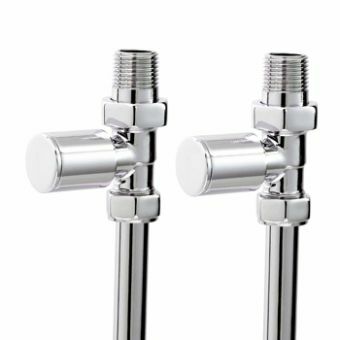 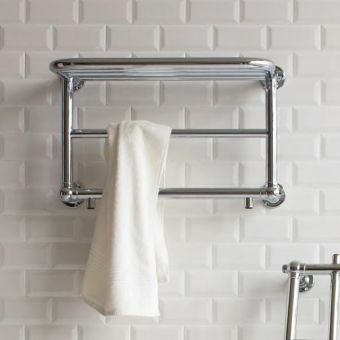 Finished in white and chrome, and constructed with a more delicate approach, this is perfect for the contemporary interior that looks for hints of classic designs.